You'll be £25.00 closer to your next £10.00 credit when you purchase Bringers of War. What's this? Order within the next 2 hours, 48 minutes to get your order processed the next working day! Long before coal-fuelled ships and machine-tooled firearms, in the age of sail and black powder, the Portuguese were engaged all around the coasts of Africa in capturing trading towns, seizing slaves and searching for mineral riches. They fought their ancient Muslim foes wherever they encountered them, overthrew African kingdoms and resisted Dutch, Omani and Ottoman rivals. Campaigning over difficult terrain and in notoriously inhospitable climates, these were far from one-sided contests. Often victory was theirs, but so too were crushing, ignominious defeats in the field, debilitating sieges and humiliating capitulations. These were clashes between very contrasting societies with their own methods of warfare, choice of weaponry and concepts of what it took to be a heroic warrior. The enthralling tale of the Portuguese in Africa before the nineteenth century deserves to be every bit as familiar as the Spanish conquest of the Americas. Yet, surprisingly, few if any of their ferocious African wars are known to English-speaking readers. In this impeccably researched and spellbinding new book, John Laband seeks to redress this imbalance expertly recalling this remarkable saga in full for the first time. Laband's book is a valuable contribution to the historiography, and his attention to detail makes for an enjoyable read. [Bringers of War] brings attention to an important and often underexplored topic in Africa's and Portugal's history. "Bringers of War" is swashbuckling with a conscience. The book succeeds as a readable military history [and] includes excellent illustrations, a helpful glossary and an invaluable chronology. The author paints a compelling picture and tells a story that has previously avoided an audience. The scale and challenges of Portuguese colonial development is just as important and interesting as the Spanish activities in the Americas and the later expansion of empire by the British. What is most useful is a tabular chronology at the beginning of the book. An eminent historian of Africa’s nineteenth century colonial wars, John Laband goes back to the c.1500 to 1800 period to look at the impact of the continent’s first European colonial invaders; the Portuguese. This eloquently written and sweeping epic examines Portuguese intrusion in such far-flung places as Morocco, the East African coast, Ethiopia and Angola, and clearly explains their military advantages such as in naval warfare and fortifications, and disadvantages such as vulnerability to tropical disease. It is generally forgotten that the Portuguese were not only the first major European colonial power to become established in Africa but also the last to leave. Distinguished historian John Laband has now richly illuminated the Portuguese experience in Africa between the seizure of Centa in 1415 and the foundation of Delagoa Bay in 1781. It is another major achievement by a scholar at the height of his powers. 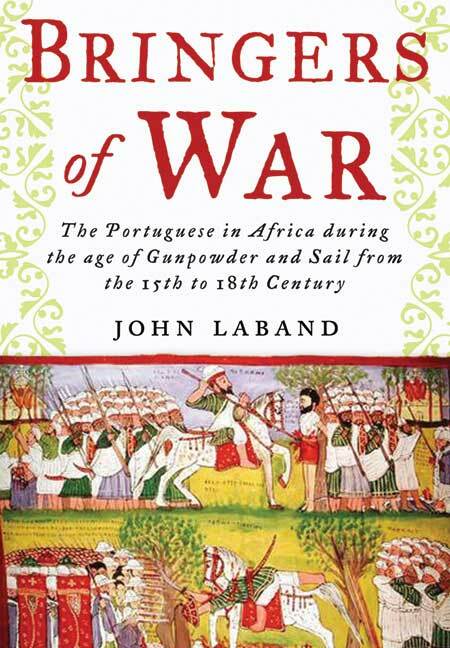 In this gripping, closely researched account of the many wars that Portugal fought in Africa from the 15th to the 18th century, Laband shines a light on a fascinating but neglected chapter in the Dark Continent’s imperial history. An extraordinary saga of folly, greed, bloodshed and Imperial arrogance.